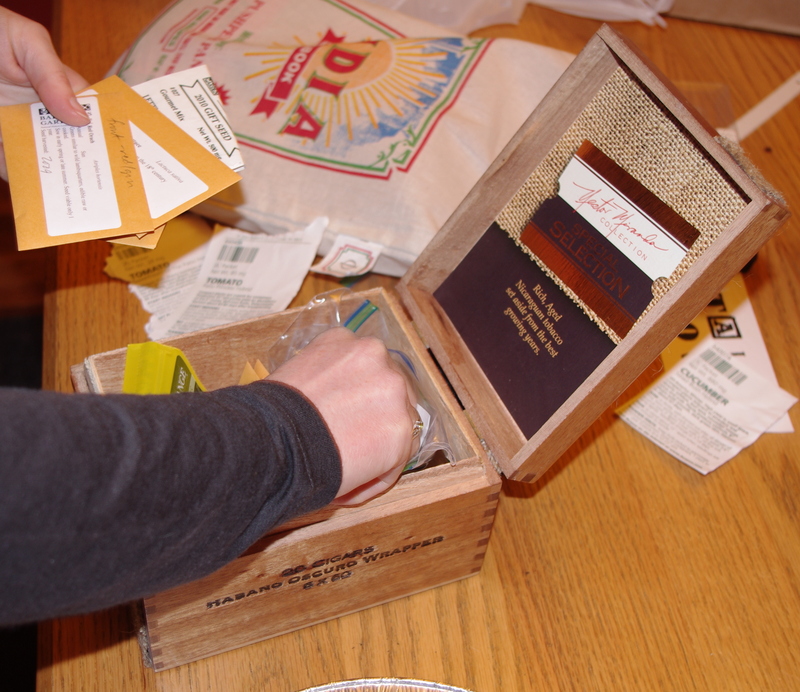 After an exhilarating (but ultimately frustrating, as one order turned into two turned into three) seed-purchasing spree, POD’s house was adrift in seed packets. There are easily enough seeds in this house to plant a full-on multi-acre garden. It’s an addiction. A potentially messy one. With early seeds stashed in one place, last year’s seeds stowed in another, this year’s gems tucked elsewhere, things got confusing. And the disarray began to grate.